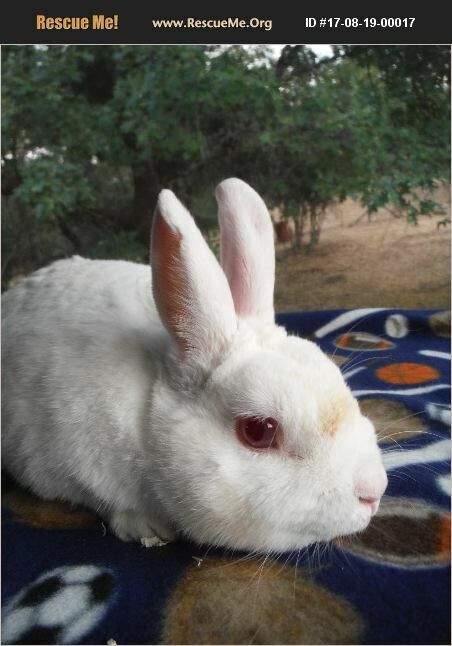 This Ruby Eyed White is now on the search for a new family. He is about 3 years old, and is a Florida White with a great personality. Marshmallow is a squishy little guy, with a big heart. He is kind of shy, but has a personality that shines like a ruby. If you are interested placing this guy in your home and heart, please send us a Facebook message or email (rabbitoriumrescue@gmail.com).